Are you looking for air conditioning repair and maintenance services in Lowell, MA? If so, you have to contact Affordable Heat and Air Company as we make sure to service and run the systems properly. Our experts handle everything and all the tasks that are involved in AC installation, repair, and maintenance. We offer a broad range of services which would keep your family comfortable and cool during the summer and cozy and warm during the winter. Round the clock emergency air conditioner service and repair. We do not charge unnecessarily for overtime. Defensive air conditioner repair and maintenance. Sales of branded and top air conditioners. If you wish to service your air conditioner, you have to be confident when it comes to approaching the experts. At Affordable Heat and Air Company, you can trust us and rely on us entirely for the entire AC repair and maintenance services. 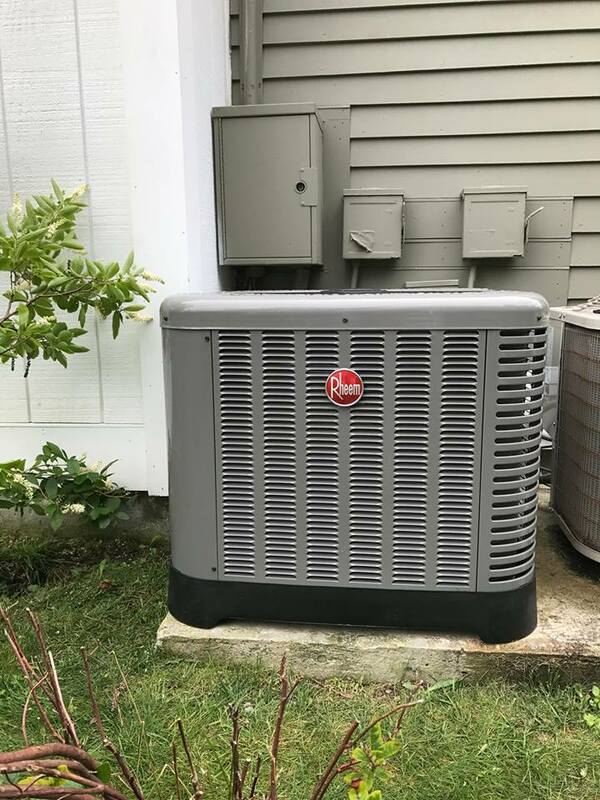 If you are looking for a trusted AC service company in Lowell, MA that also offers the latest heating and cooling units present in the market, you need to call Affordable Heat and Air Company today and book your appointment. Our professionals have installed several top brands since 2005 such as Carrier, Lennox, Rheem, and Goodman. Moreover, we have been renowned as the #1 shop for qualified AC installations and ongoing maintenance. If you install by approaching non-professionals, it remains as a bad start to the system. It can even cause frequent repairs, reduce the system’s performance and affect the entire life of the HVAC equipment. Ensure to approach Affordable Heat and Air Company for installing your new air conditioner. We do the job in the right way the first time. We have a team of technicians who are factory trained and fully capable of installing the job in the best way at the first visit. Along with enhanced cooling and smart home features, the latest air conditioning units comes with several extra features which help in reducing energy bills as well as carbon footprint. Talk to our sales executives regarding humidity control, air filtering and several other features that are present for home or business air conditioning systems. What is the age of your age conditioner? If you have an air conditioner that is more than 10 years old, then you should think about replacing the conditioner. When you purchase the new systems, you can enjoy enhanced cooling and humidifying and also helps in reducing the utility bills in a significant way. Affordable Heat and Air Company is the top Carrier, Trane and Rheem Air Conditioner dealer in Massachusetts. We ensure to provide the latest and most efficient air conditioning systems at reasonable prices. Check our latest air conditioner brands and models online and call us to talk with our sales reps. We’ll give a quote within ten minutes. If you proceed to purchase, we will perform the installation process within a few days of approving the quote. Do you want to know that your current air conditioning systems have a long lasting life? At Affordable Heat and Air Company, we offer the best range of protective air conditioning services at your doorsteps. We make sure that your system functions for a long time without causing any trouble or issues. From safeties to blowers to compressors to cooling and every part in between, Affordable Heat and Air Company professionals evaluate each and every part and component of the air conditioning system to get it completely protected and preserve the coziness of your family. Moreover, our professionals will also provide clear explanations. This way, you would know what is happened to the system and how it can be rectified. Before doing any repairs, you will be clear about what we are doing and how we are solving the issue. There are several steps involved in maintaining the AC systems for long years. It is not an easy task to install the branded air conditioner in your home or business. You have to make necessary arrangements for tuning up the air conditioner regularly with the help the experienced professionals. Our experienced team in Lowell, MA provides excellent AC maintenance and repair services at a reasonable price. We utilize 20 points complete air conditioner tune-up checklist to make sure that the system runs beyond and above by offering additional adjustments and checkups to equipment inside and outside of the property. Affordable Heat and Air Company have three difference air conditioner maintenance packages. We let our customers select so that they can choose and use the perfect plan as per their requirement. Ensure to keep in mind about the additional features and benefits provided by the Affordable Heat and Air Company. Prioritizing service discounts and scheduling means you can save money and time any time you are looking for repairs. Along with regular maintenance services offered by Affordable Heat and Air Company, our team members are also experienced in handling your emergency HVAC requirements in Lowell, MA. Our experts are available on round the clock basis with completely equipped HVAC trucks. We provide necessary services quickly without any overtime charges. Emergency HVAC service is an essential service as the mechanical problem arise any time or when it is ignored frequently or left undetected. If you do not take immediate action, it can result in a serious issue. Schedule for AC repair immediately when you find the problem in the AC and wish to avoid a system failure in a later date. You can depend on our experts for better maintenance and functioning of the HVAC systems. We aim to keep your family protected and cool throughout the year. Affordable Heat and Air Company is one of the top leaders in AC services, repair, and maintenance in Lowell, MA for more than 14 years. We are proud to be the experienced leaders in the industry. No matter, you require expert AC services, energy efficient latest AC system or replace your broken AC unit, our local experts can help you in meeting all your requirements. Our fully loaded HVAC trucks are always prepared to move and service, we arrive quickly in just a call. At Affordable Heat and Air Company, we are proud to provide the best quality air conditioning repair and services at reasonable prices. It is undoubtedly our service charges would not exceed your budget. As our highly trained AC service team is available round the clock, you can remain assured that Affordable Heat and Air Company is always there whenever you need us. Contact us online or call Affordable Heat and Air Company at (978) 667-8122 to get 24/7 assistance and solutions for all your AC issues. We are looking forward to remaining as your trusted AC sales and service experts in Lowell, MA.